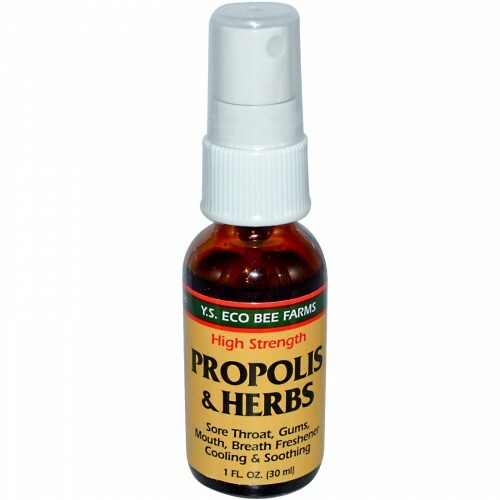 Propolis & Herbs throat spray from Y.S. Eco Bee Farms. (1 oz bottle) Serving size 2 sprays (contains 75 servings). This spray is soothing & cooling. 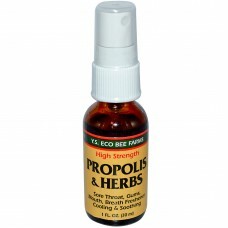 It can be used for sore throats, gums, mouths, and as a breath freshener.